Starting a Website is a huge commitment and no self respecting business these days is without one. It is expected that the large multi-national businesses all have websites and do a large part of their business this way. But they all have millions of dollars to start a website and spend on advertising. They also have technical experts experienced in building a website to run their web sites unlike most of us! To the average small business, business on the Web seems like one big, unbeatable mystery. We are often starting with zero-knowledge and it may seem too overwhelming to tackle. Advertising - Your website provides free advertising for your products. Image - Your website is the public internet face of your business and plays a vital part in the PR of your business. You may not have previously seen it that way but a professionally presented and written website makes all the difference to the credibility of your business. Online Presence - This links with Image and credibility as increasingly customers are asking people they do business with if they have a website they can go to. Customer Service  Your website can give out important information to your customers even when your business is closed. Sales  If you allow your customers to purchase products online, not only do you get 24 hour sales but you automate a large part of the sales process. Additional Income - Your website can actually earn you money whether or not your visitors buy your products  24 hours a day. Yes really! Dont tell me you havent noticed those flashing banner adverts that appear almost everywhere? More about that shortly. When starting a website you will find that there are hundreds of companies out there offering free websites, free website templates, free web site hosting, free domain names, free website evaluation, free personal web pages. Just do a google search and see what I mean. Now Im not saying dont explore some of the free options, but before you launch into getting yourself set up with a company that is offering you a deal that seems too good to be true, ask yourself one question. Why is it too good to be true? Some companies will get you set up with a free website that you dont actually own. Thats not a problem in the first year or so when you are starting out, but in a few years time when your website is critical to your business, do you really want to risk not owning your site? You may be told that you own the rights to your site but do you own the domain name? Make sure that you are not suddenly going to find yourself forking out hundreds of dollars or pounds to purchase your own domain name in the future. It does happen! If your domain name is not renewed automatically at the end of the year/two years that it is registered, there are unscrupulous cowboys out there who will snap them up and charge you a fortune to buy them back. Not to mention the downtime this might mean for your site; the hassle factor is just unthinkable. Sometimes you may find that the site is free and that the domain name will be purchased on your behalf but then find that you will have to spend a fortune on add-on tools, subscriptions, designers, Webmasters and Search Engine experts in order to actually earn anything from your site. If you own your domain name, the web site and pages are your property. This might not have occurred to you before but this is critical as, if you later become unhappy with the service that you are getting, you can easily move your site to a new hosting service. Make sure it is a reputable service because you don't want to risk them going out of business. Regardless of how reputable the hosting company you use, always protect yourself against them going out of business or losing your site. Always keep a copy of all of your web pages and images used on your computer and backed up on disk. I just wanted to alert you to the fact that Free is not always the best option. There is always someone out there trying to make a quick buck from you! You can buy your own domain name very reasonably from a whole host of companies such as my favourite Go Daddy. The domain name is registered to you or your business and parked until you can write the site and have it published to the web. Before you start a website with any of the other companies out there, make sure that you have the facility to redirect your url to any other web page you choose. You should be able to do this easily in the control panel. Also take a look at my page on purchasing a domain name for more advice and information on this important topic. As suggested above, when starting a website I would avoid the free website hosting companies. My favourite web hosting service is HostGator. Their most popular package gives you a huge amount of hosting space, plenty of bandwidth, allows you to host unlimited sites, have unlimited email accounts and has plenty of features that means you won't need to spend lots of money on any other services. What's more it has a 45 day money back guarantee and only costs $7.95 a month. I strongly recommend that you research this option before you explore any of the free options as reliability is also a critical factor and this service is award-winning. I wrote this site myself and have all the tools to ensure that I get the traffic as well as being able to convert it into something that will make money for me day in, day out. If you like what you see and have read my story, please read how I wrote my site and learn more about a SBI Website and the phenomenal power of SiteBuildIt!(SBI!). If you are impatient to find out just how you can make money with a website, this link goes straight to a page where you can learn how to make money by starting a website. SBI! owners are anti get rich quick. They know that building a real business that lasts is not about "getting a site up, cheap-quick-&-easy." They focus upon building businesses that deliver evergrowing profits and freedom for the rest of their lives. For proof that this system works, click on the image on the right to find out about some real life success stories. Some are total "newbies." Others are experienced Webmasters. Some are starting a brand new business. Others are leveraging an existing one (online or off). Some are local business owners. Others are global infopreneurs. 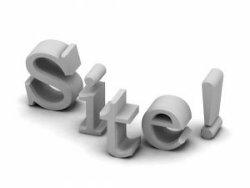 For more information about your particular type of business and to see if starting a website with SBI! meets your special requirements.